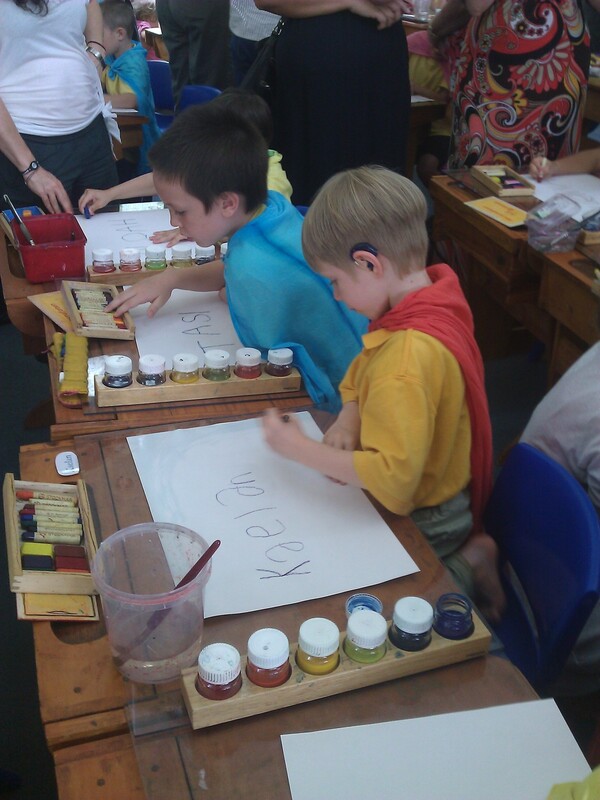 In a swirl of rainbow glory Kaelan and his friends finished being Prep students today. His school sure does know how to celebrate milestones. 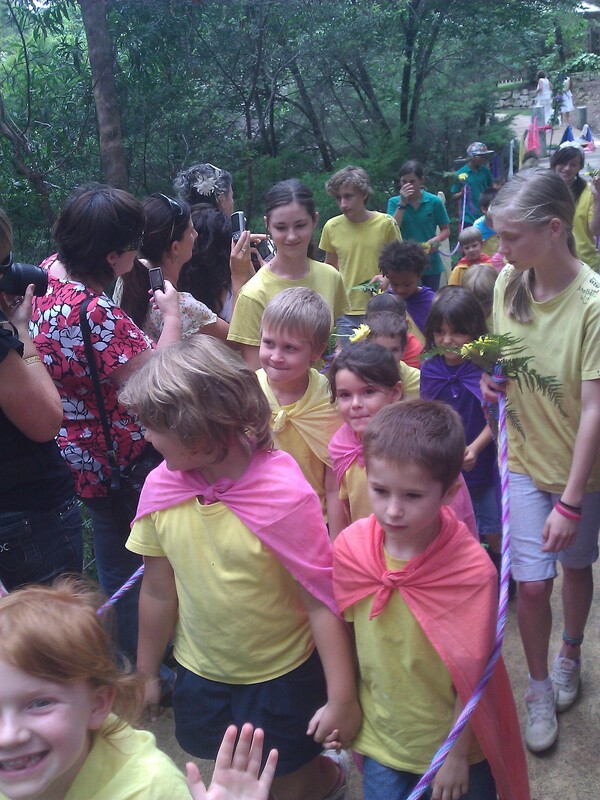 This graduation ceremony was simple, colourful and very very special. 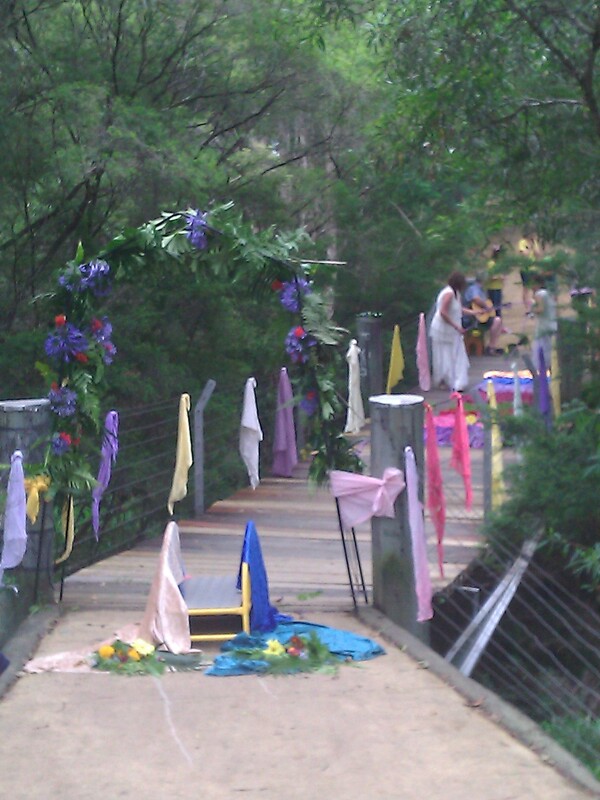 The area was prepared: in this case the bridge that links the Prep to the Primary was the chosen space for the ceremony. 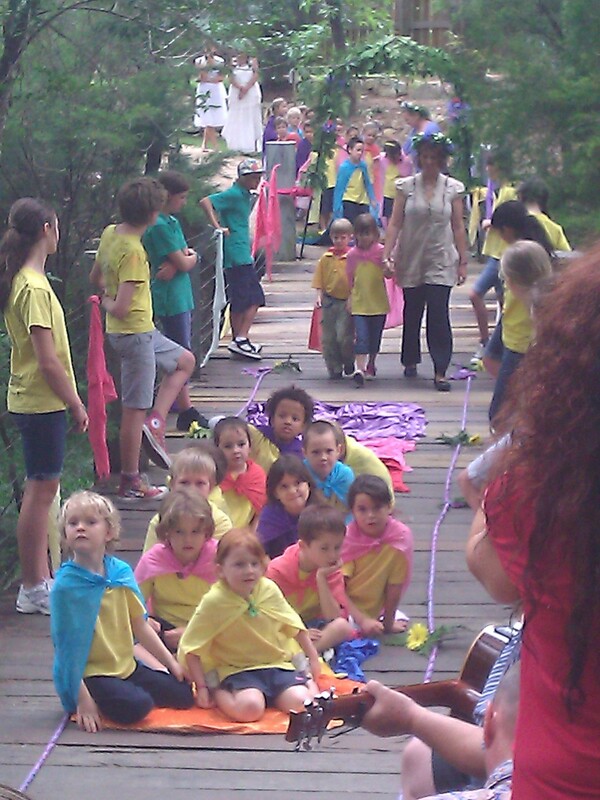 The children were symbolically ‘crossing the waters’ into that grown-up space that is the big school. They would be leaving by boat (marked out simply with a rope) and their teachers quietly and lovingly brought them in and settled them in before singing them a tearful farewell song. They set sail, accompanied by the Class Sevens, who tomorrow will themselves be beginning a new life journey as leave Primary School and prepare for High School. Both groups of children eagerly, yet nervously, leaving behind them what is known and loved and stepping into the unknown and inevitable future. You can see my little man in the red cape at the back. With the Class Seven guardians helping to steer, their new Class One teacher captained the boat and guided everyone safely across the waters and into Primary, where a story, some practice at desk work and a game completed the transition. Angelique and I were just reminiscing about this today as she noticed the “preppies” as she called them cross the bridge. A year ago today, she was one of them and now she has finished Year 1 and almost in Year 2! It is a beautiful ceremony – such a wonderful heartful experience for parents children and the beautiful Prep teachers who sing farewell sadly. And quite a few times I have sung farewell to my classes of ‘little big kids’ on their way up to the big school, and twice I have captained their boat and sailed them into primary. I believe this ceremony is far more moving and much more important for the teachers than it is for the children or the parents! What a journey these wonderful teachers go on each year, developing such intense relationships with these children. At the same time it is both very sad and quite a relief to sing good-bye to them!! Oh Jen – brought tears to my eyes just looking at the photos. beautiful Jen, it is lovely to read and see that after all the changes that have occured at Silkwood that there is still magic and reverence. thanks for sharing.